A former Drexel University professor who made provocative statements on social media and publicly clashed with conservative media outlets has reportedly been hired by an institute affiliated with New York University. George Ciccariello-Maher resigned from Drexel on Dec. 31 after spending several months on administrative leave, writing in a statement that his situation had spun out of control "after nearly a year of harassment by right-wing, white supremacist media outlets and internet mobs." Ciccariello-Mahar had been a tenured associate professor of politics and global studies at Drexel, with previous posts at the University of California-Berkeley and the Venezuelan School of Planning in Caracas. In a Facebook post earlier this month, Ciccariello-Maher said he will be a visiting scholar at NYU's Hemispheric Institute of Performance and Politics. NYU confirmed the appointment but told Breitbart News — one of the professor's chief critics — the role is an "unpaid position." 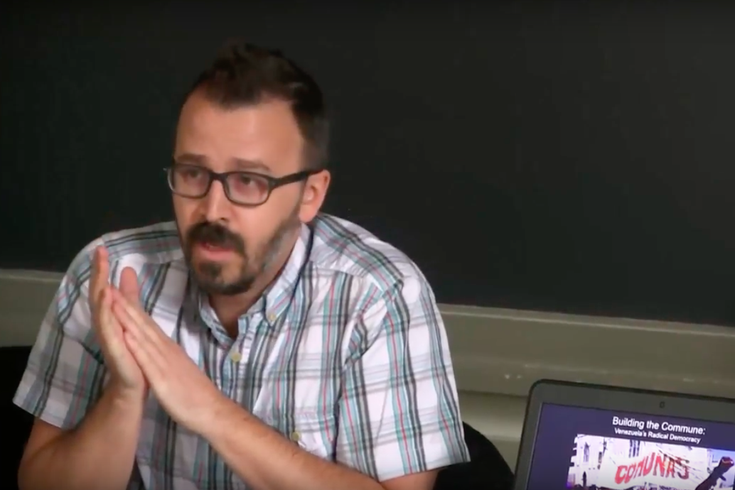 Drama surrounding the former Drexel professor began in Dec. 2016 when Ciccariello-Maher tweeted that all he wanted for Christmas was "white genocide," a concept he said was a reference to perceived white victimization in the United States. Months later, despite the media backlash, Ciccariello-Maher was back in the spotlight for another tweet criticizing a man who gave up his first-class plane seat to an armed serviceman. Last October, when another tweet from Ciccariello-Maher blamed "Trumpism" for the deadly Las Vegas shootings, death threats and hate mail prompted Drexel to place him on administrative leave, citing personal safety and security concerns. Ciccariello-Maher defended the tweets in an essay for The Washington Post and warned of a slippery slope to smothering free speech at academic institutions. Students at Drexel largely rallied to support Ciccariello-Maher in the months leading up to his resignation, including a class they held in his absence to send a statement to the university. In his resignation letter, Ciccariello-Maher urged continued action from students and faculty at American universities to safeguard fundamental rights and stand up to repressive political movements on the right. "In the face of aggression from the racist Right and impending global catastrophe, we must defend our universities, our students and ourselves by defending the most vulnerable among us and by making our campuses unsafe spaces for white supremacists," he wrote.